AHOOOOY there! | Rosi G.
Ahem. Yea. Who’s NOT looking forward to Rhinebeck?? You’re not?? You’re crazy. So. 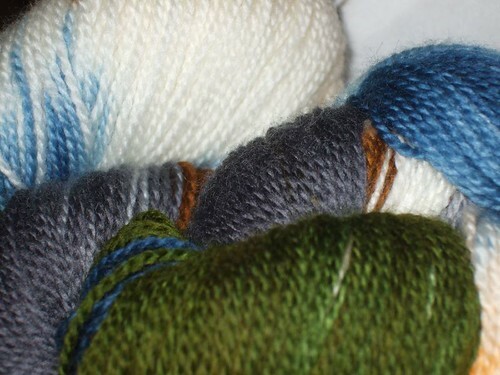 Today I bring to you MORE Yarn Ahoy. 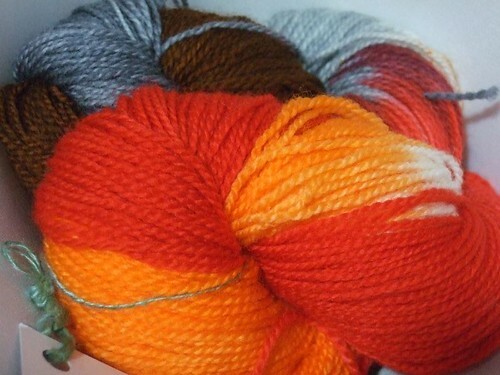 Ya’ll know I love me some Yarn Ahoy yarnies (plus her yarns are SO photogenic, doncha think?). 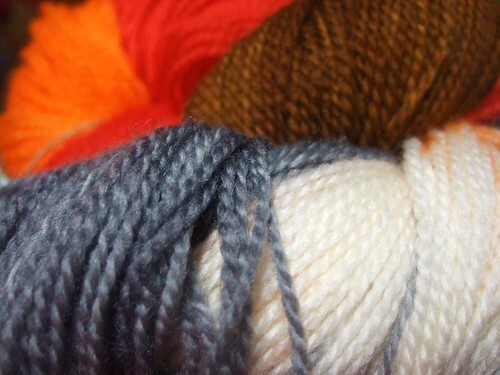 Oh, she’s holding a contest on her blog for things people have knit with her yarns. I entered my Fuego Socks. Go check it out. This is her Superwash Sock (375 yds). She recently increased her yardage from 350. WOO HOO! 🙂 Can you see the squishiness factor of 1000 in these pictures? 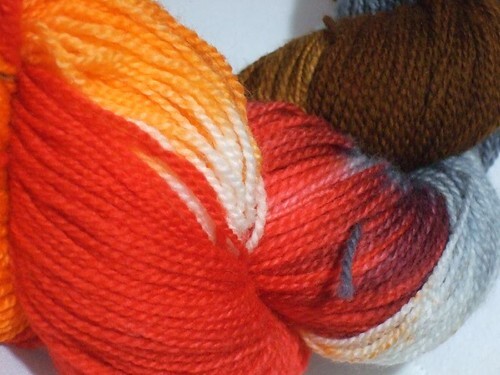 First colorway: Ashes & Embers. Perfect name for it because you can almost SEE the embers glowing amidst the ashes. 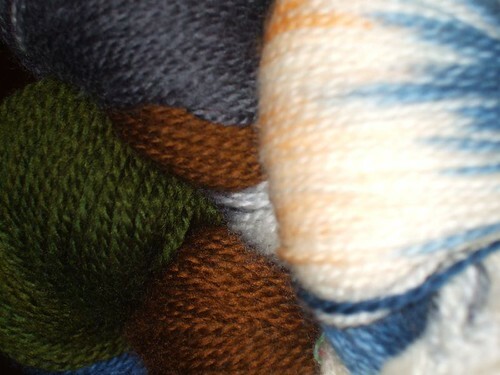 All these enticing pictures of Yarn Ahoy pr0n are not without a reason. There’s a contest going on behind the scenes at The Soapy Knitter. I can’t tell you guys what it is because I want it to be fair and all that. HA! But, the winner will win it soon. I promise. ROFLMAO Secretive, much? 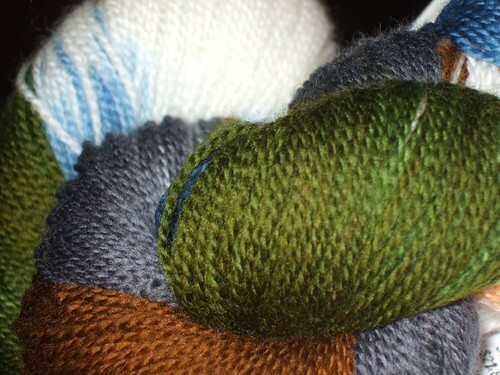 PS: There has also been LOTS of knitting and knitting planning going on. Stay tuned for FO’s. How about the kitty?? How goes it with the kitty?? Oh, and also: RHINEBECK!!!!!!!!!!!!! WOOOOOOOO!!!!!!! I love that Yarn Ahoy! I also love contests! I am planning my own bloggy contest, hope to announce it next week but haven’t figured out all the details yet. So fun! how have I not heard of Yarn Ahoy?! those are beautiful. 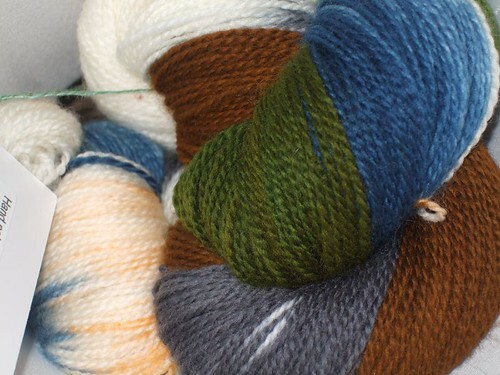 I am beside myself with excitement for Rhinebeck! It’s my first year going! ‘Rohtang Pass’ is a treacherous pass that connects two valleys in the foothills of the Himalayas. There’s a lot of snow, blue skies & earth (some green in late Spring & summer). Yeah where in the world have you been!?! 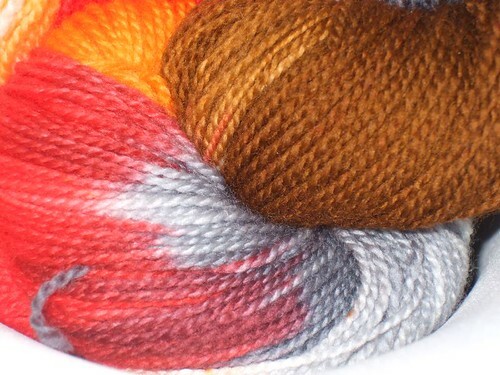 OOh that yarn IS lucsious! “It”? So, Calvin and Ripple can enter too? Cool. That’s 3 entries for me. If a cat wins I promise to knit it toys with the yarn. 😆 Ok no not really. That stuff is gorgeous though. Hehe..Calvin and Ripple.. Gorgeous colorways there! I’m crazy I guess. But only because taxman said I couldn’t go! 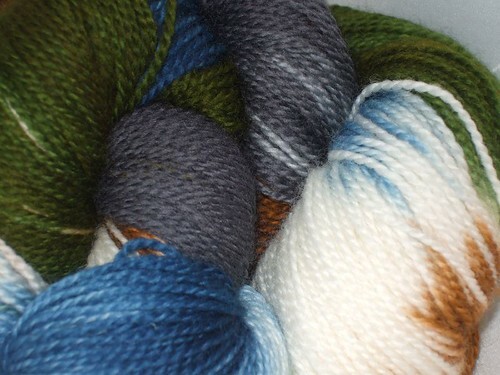 I have my own contest going – to finish knitting up all the yarn I bought at Rhinebeck in ’06! Good luck with your yarn ahoy submission.